Shaun Miller came off the bench to give Morecambe a 1-0 win at Bury in the second round of the Johnstone's Paint Trophy. The ex-Crewe striker was introduced for the second half and pounced in the 81st minute for his second goal in four days after breaking his Morecambe duck on Saturday. 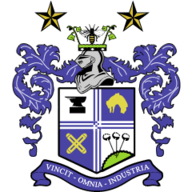 Miller's winner sent the Shrimps into the northern quarter-finals while ending a run of seven straight wins in all competitions for Sky Bet League One side Bury. 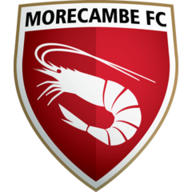 Constant rain made conditions difficult but League Two outfit Morecambe coped better early on, tame efforts by Paul Mullin and Lee Molyneux keeping Bury keeper Rob Lainton alert. Alex Kenyon then volleyed over from the edge of the box and Bury replied with Danny Rose firing over on the turn. The Shakers' striker also headed narrowly wide from a Danny Mayor cross but Lainton was the first keeper called into action after the break, sticking out a foot to turn Kevin Ellison's close-range shot wide. Tom Pope then headed wide for Bury while another Pope header was cleared off the line by Morecambe centre-half Ryan Edwards. But Jack Ryan then outmuscled Bury centre-half Reece Brown to run into the box and square for Miller to tap in the winner.